↑ Wynne-Thomas, Peter. 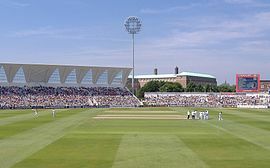 "A Brief History of Trent Bridge". espncricinfo.com. Retrieved 21 April 2013.